It was over four years ago that British Petroleum unleashed their disaster in the Gulf Coast and for four years we’ve all been hearing about how BP will not rest until they “make it right” for the Gulf and all affected by the spilled oil from the Deepwater Horizon explosion that killed eleven people and have harmed tens of thousands more. We hear it. We hear it all the time. To this day, the commercials play out across television, radio, on billboards and on the internet, yet what they say is still far from the truth. Things in the Gulf are not all right. Instead, they have become litigious and a company that’s reaped so much profit is now spending on so many lawyers to sift through their agreements for technicalities while disputing new environmental evidence, practices that though they may follow the letter of the law and allow those at BP to sleep at night, damages the spirit of their agreements with a region repeatedly violated, turning this four year old, ongoing disaster into nightmares for those across the Gulf Coast. In 2012, British Petroleum agreed to a settlement with people harmed by their oil spill, an arrangement with a complex methodology that takes into account a business’s location within certain zones along the Gulf Coast and a basic formula for lost revenues and recovery. Since this agreement, BP has been challenging that some of the methodology’s covered businesses couldn’t have been harmed by the spill and has argued, repeatedly in front of US District Court Judge Carl Barbier’s court that these businesses should not be paid. Barbier has consistently and repeatedly maintained that BP entered into an agreement and should abide, that BP agreed to pay businesses according to this formula as part of a compromise and it would be disingenuous to now try to pick apart the methodology they agreed to in his courtroom. When the Deepwater Horizon exploded, workers were hired by the thousandfold to clean up the oil, lay and replace boom, whatever was necessary to get as much of the oil out of the water as quickly as possible. Many of these clean-up workers didn’t have protective equipment and many non-oil clean-up workers also were affected by the toxins, just by living in the area or being on or near the water. This has understandably left a lot of people in the Gulf sick, and many more could become sick later. British Petroleum is now interpreting their medical settlements not by what will make people whole for these medical complaints, but by when they were diagnosed with their ailments…a calender date that has little to do with the severity of any medical consequences and everything to do with how much British Petroleum wants to pay to settle a bill for any possible medical care. Again, it’s four years after the spill and the national media is gone from the story. British Petroleum wants to alter their agreement and it would seem, make things just right enough for their bottom line. And the oil is not gone, neither is the chemical dispersant they used. Environmental damage to the Gulf Coast continues with record dolphin and sea turtle deaths as well as extensive damage to coral that show the oil spill’s footprint is both deeper and wider than previously thought. Last year, beach monitors discovered more than 46,000 thousand tar balls and over one and a half tons of submerged tar mats, and there is also evidence that the “quickly evaporating” dispersant BP dumped all over the Gulf is still there, found in tests all over the region. In addition, the oyster situation is grim with thousands of acres of oyster beds producing less than a third of the pre-oil spill harvest. Also troubling is the complete lack of oyster larvae on all of these decimated reefs, places where the oil came ashore and would seem to forecast that the oyster yields will not improve any time soon. Just ask their shareholders, who must be feeling pretty good about their investment these days, especially when BP recently came to an agreement with the EPA and are now resuming business with the Federal Government in the Gulf. In fact, at the most recent auction, British Petroleum was the “highest bidder on 24 offshore oil and gas blocks out of the 31 properties it pursued in auction.” This to go along with increased dividends for shareholders, several new oil rigs coming online and a 10% increased stock price projection based on their 2nd quarter earnings in 2014. So then…BP is fighting Deepwater Horizon business and medical settlements in court, is shifting blame on the environmental destruction they caused, the deaths to sea turtles, coral, dolphins and the decimation of thousands of oyster reefs all while minimizing the amount of oil and dispersant still in the Gulf and still washing ashore. In addition, they are again bidding on oil blocks for new oil rigs in the Gulf of Mexico, set to start reaping in even greater profits than before. This is making someone right, yes…but not the Gulf. This is seeking loopholes in settlement agreements to pay as little as possible to those they’ve harmed while laying the groundwork to make even more profit from the very region they’ve wrecked. And in response, it would only seem fair to propose that until British Petroleum truly honors their words, they should not be permitted to continue in the Gulf. They should remain locked out from a region they’ve already harmed so much, at least until they truly account for themselves and follow the spirit of their agreements by sending their lawyers home. I understand this suggestion might seem extreme, but is it any less extreme than the belief that everyone impacted by their 2010 spill should receive complete restitution, that the coast should be rebuilt and that all medical bills should be paid, regardless of when the diagnosis occurred? I stand by those beliefs and for BP to meet this bar, it would be to keep their promises and their agreements. It would be to actually honor what they claimed they would do from the beginning: to make things right, because right now, every roadblock BP throws up in court dishonors their company, their promises and everyone affected who has to suffer, worry or leave their lives in the Gulf behind. The EPA should suspend the leases until BP stops their squirming. 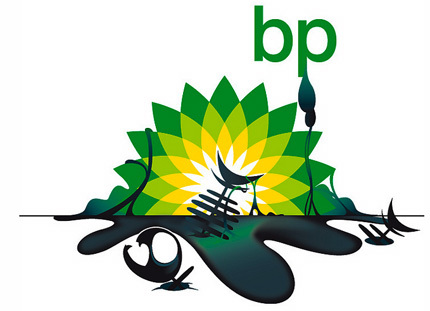 Suspend the leases and close BP’s wallets until they finally decide to open them for the purpose of paying for the damage they’ve done, without technicality, loophole or blame-shifting….and make them keep that wallet open as we continue to learn the extant of the damages they’ve caused as a result of their negligence.